I got my Novice ham license KN4NYW around 1960. I built a Knight-kit SpanMaster regen receiver and a homebrew 6L6 transmitter - results were pretty pitiful! 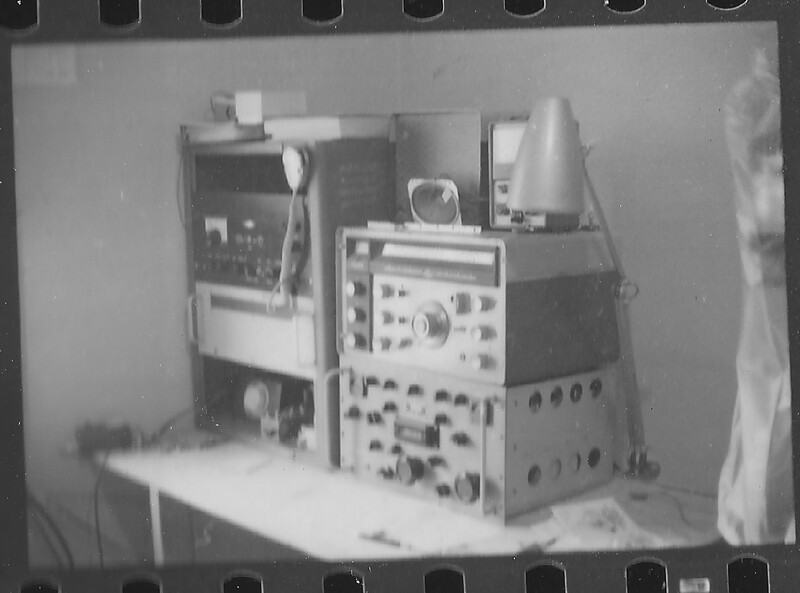 I later built a Knight R-55 receiver kit and homebrew 6 meter transmitter (6146 modulated by 6L6s). At some point I also acquired a BC-348 and Ameco 6m converter. I was active on 6 meters AM before college and afterward, but I dropped out when I went back to grad school in 1972 and discovered the intriguing world of computer graphics. I got active again around 1990 as KD4CPL (General, Advanced, & then Extra Class) and had great fun collecting, repairing, and operating gear I just read about and lusted after in earlier days. I was particularly interested in kit gear and at one time had one of every tube-type ham radio kit made by Heath, Knight, Eico, Johnson, Hallicrafters, WRL/Globe, & Lafayette - See photos below. Also see my Unbuilt Kits and more Unbuilt Kits - all these are gone to new homes now. 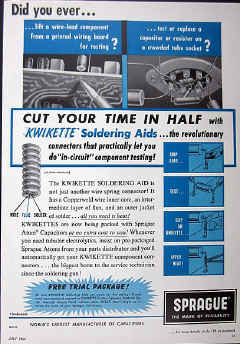 The earliest Heathkit I have is a Transmitter Power Supply with assembly instructions dated Jan 1948. 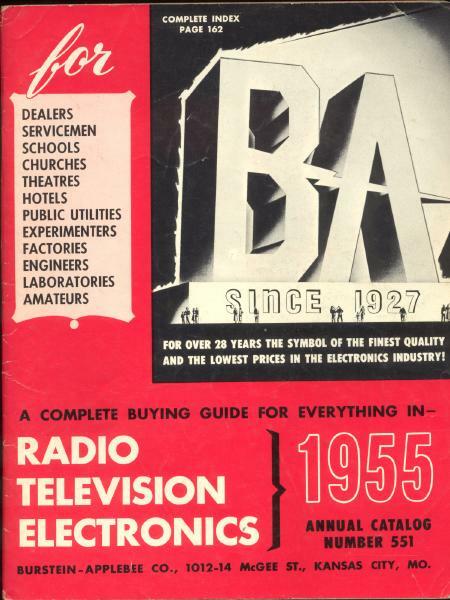 Bob AF6C has written a lot of great articles on early Heathkit gear. 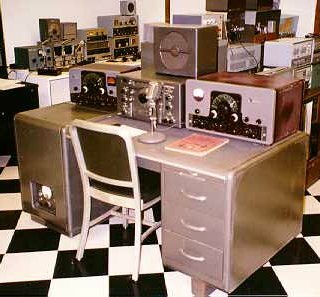 In 2007 I got REALLY interested in Navy Radio and now all of my vintage ham gear has been replaced by 1950's-60's Navy gear. In Jan 2009 I finally "upgraded" my call to K4NYW (which had never been issued to anyone). 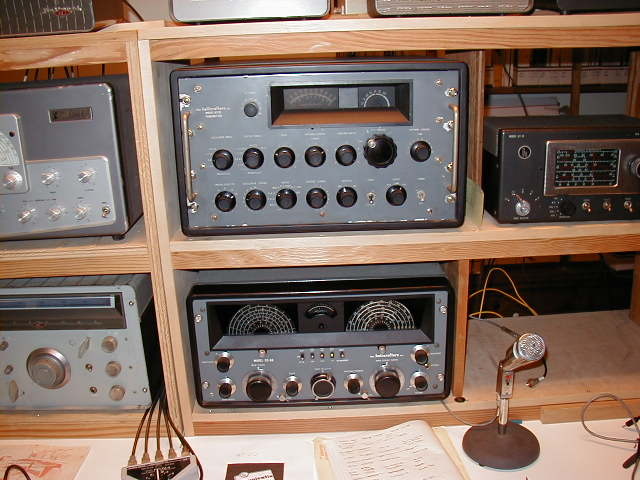 top row: Drake 2B, SX-117, R-388A, SX-62 receivers. Another view of Desks #1 and #2 with some different gear in place. Desk #3 is to the right with a Drake C-Line, Ten-Tec Omni VI and various VHF and ATV gear. Here is a later photo with Johnson 500 and Matchbox added to the desk KW. 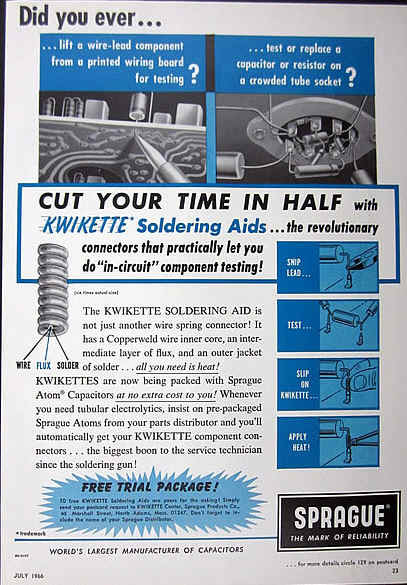 My Desk KW set-up is pictured in the 1998 CQ Vintage Radio Calendar posed to match the Johnson advertisement below. And here was some of the pile in the basement awaiting its turn on the workbench. My unbuilt ham gear kits- SOLD! 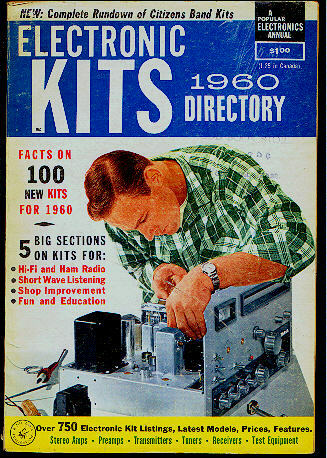 More unbuilt ham radio gear kits - SOLD! My Heathkit KL-1 kit - SOLD! 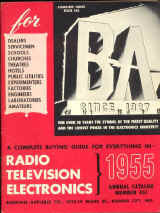 My Heathkit catalogs collection - SOLD! The rec.radio.amateur.boatanchors FAQ - tons of info on where to find manuals, tubes, parts, equipment, etc. plus restoration advice, links to boatanchor sites, etc. 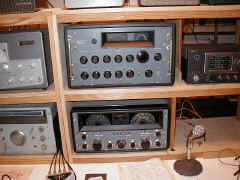 Andy WA4KCY has some wonderful old gear at his station. 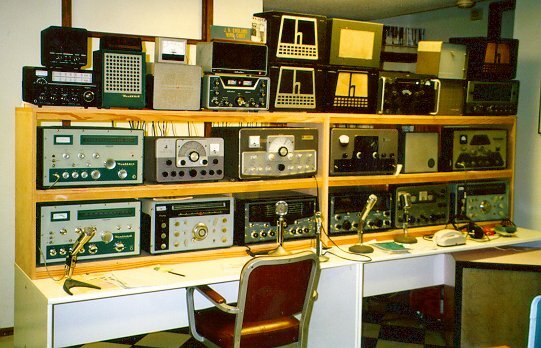 Jim WA2WHV has some vintage pictures of his station plus links to other interesting sites. Rich's Boatanchors are well worth a look, too. There is a nifty Heathkit Virtual Museum on the WWW. Here is a page full of Research Triangle Ham Info. 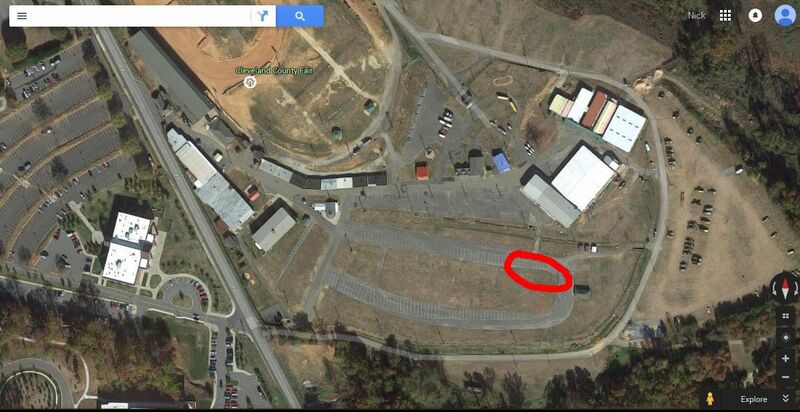 Clubs, repeater frequencies, packet info, classes, etc. What can I say? It is all fun and relatively harmless.